Kvas is an ancient, but very popular fermented beverage especially during the summer. It has a unique taste to it but definitely worth trying. Most of us Slavic folks grew up drinking it, so it is sentimental to us. 1.) In a saucepan, pour in 1 gallon of water and bring it to a boiling stage. After it boils let it cool down and then add your coffee, vinegar, sugar, apple cider vinegar, and Fast rising yeast. Mix the ingredients together well. 2.) Cover the saucepan and let it sit for 1 night. 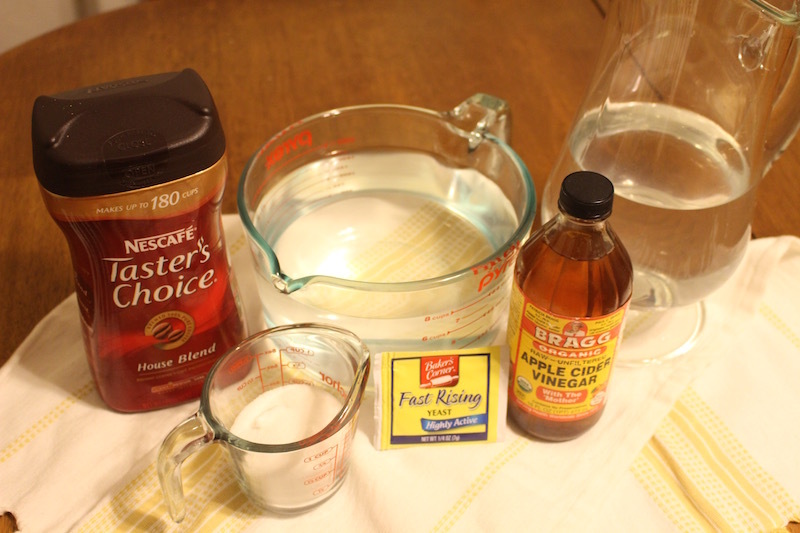 In the morning, mix it again, pour the Kvas into a pitcher and serve. In a saucepan, pour in 1 gallon of water and bring it to a boiling stage. After it boils let it cool down and then add your coffee, vinegar, sugar, apple cider vinegar, and Fast rising yeast. Mix the ingredients together well! Cover the saucepan and let it sit for 1 night. 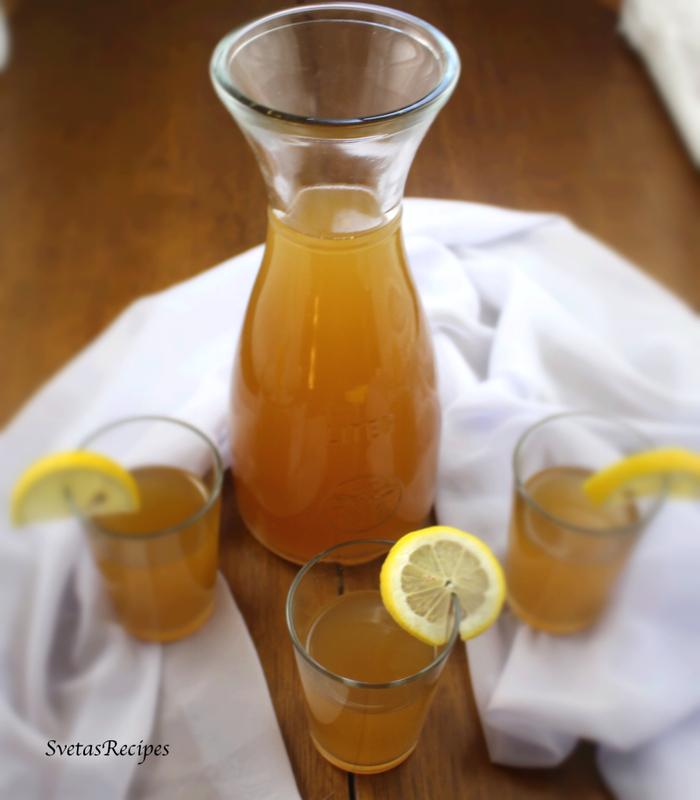 In the morning, mix it again, pour the Kvas into a pitcher and serve.